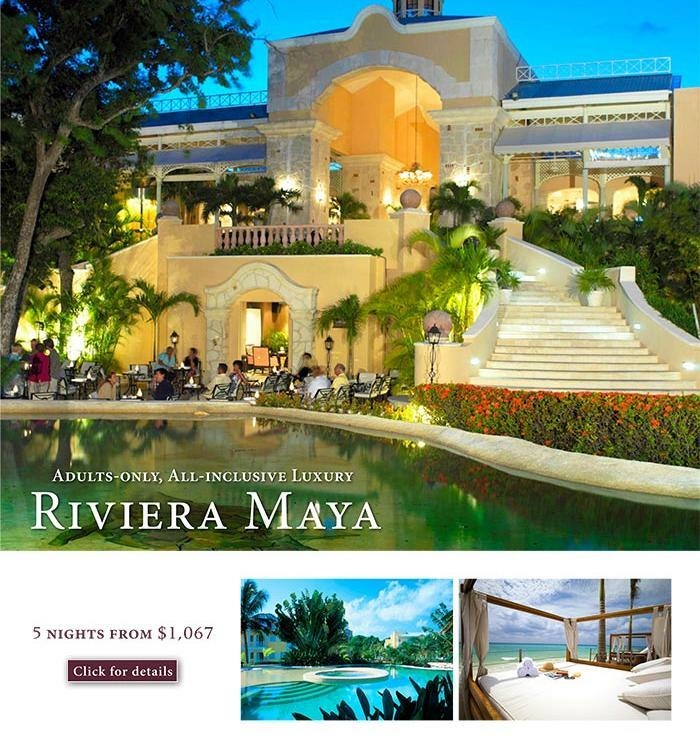 Situated on the breathtaking beaches of Mexico's pristine Riviera Maya, the Royal Hideaway Playacar effortlessly blends world-class service with impeccable style. Royal Hideaway Playacar serves guests an unforgettable vacation experience with infinite opportunities for luxuriant indulgences. Magnificently-appointed villa accommodations, attentive concierge service and an opulent full-service spa comfort guests with a revitalizing atmosphere, courteous care and rejuvenating treatments. Located on one of the Yucatan Peninsula's most stunning stretches of beachfront and just 45 minutes from the Cancun International Airport, Royal Hideaway Playacar is the perfect place to toss your cares into the sand and decompress amidst sheer luxury. If an adults only resort on the Yucatan Peninsula sounds like the perfect honeymoon destination, then click here and let's check your honeymoon dates for availability.